Microservices is the talk of the town these days, even if the term and technology have actually been around for a while now. Why is everyone suddenly interested in microservices architecture? What has changed? 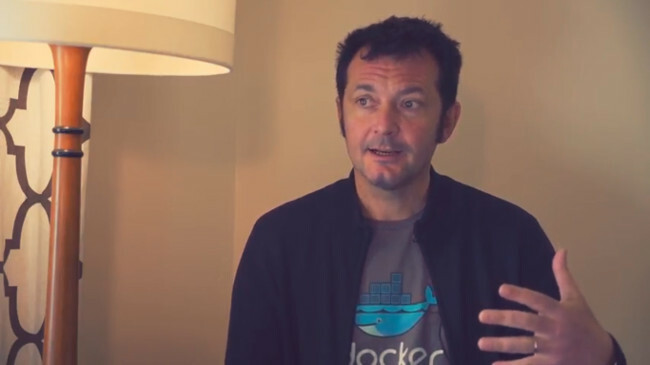 To understand microservices, I sat down with Patrick Chanezon, chief developer advocate at Docker at the Open Source Leadership Summit Sonoma, California. Chanezon provided a brief history lesson about the evolution of microservices architecture to explain why everyone is talking about it these days. He said at the end of the nineties and early 2000s, developers were structuring their applications into what we call monoliths. Those applications required dedicated, proprietary servers to run. With Java applications, Java App Server was required. With .NET, an IIS server was required. In a monolithic architecture, everything is bundled together. If you want to upgrade or update just one service, the entire app must be updated. Monoliths have their own disadvantages. Most importantly they slow organizations down, who end up spending more resources in managing the infrastructure that runs those apps, instead of investing in the apps themselves. With the arrival of Docker and the rise of containers in the past five years, people have started to break these monoliths into what we called microservices. The idea is that applications can be built as a set of loosely coupled services that can be updated and scaled separately under the container infrastructure. These container platforms, unlike monoliths, are independent of the underneath infrastructure. As a result, it helps customers in embarking on their cloud-native journey. Chanezon touched upon how microservices fits into the cloud native discussion. In fact, he pointed out that CNCF (The Cloud Native Computing Foundation) is contemplating renewing the definition of cloud-native to gain even more clarity. The market is evolving and the definition should be more inclusive of new technologies that have emerged since the term was coined. He also pointed out the emergence of new technologies like service mesh and functions-as-a-service that is the evolution of cloud-native technologies. Chanezon also touched upon some use-cases of microservices and discussed the areas where it doesn’t make sense. He provided some examples of Docker Inc. customers who are embarking on their cloud-native journey with microservices architecture. 1:14: What is a microservice architecture? 4:50: How do microservices fit into the whole cloud-native landscape? 11:04: What kind of challenges do companies breaking down their monoliths into microservices face? 14:03: What is the role of open source is playing today? 16:43: What brought you to Open Source Leadership Summit?